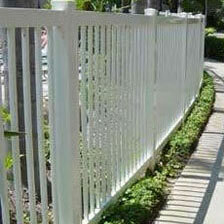 Welcome to Affordable Fencing Company, Southern California's best value for high quality, affordable vinyl fencing. Since 1984, we have provided thousands of satisfied customers throughout Los Angeles, Orange, and Riverside counties with exceptional fencing services at cost-effective rates. As a full-service fence contractor we build and install custom fences, gates, patio covers, arbors, and gazebos for residential, community, and industrial properties and also cooperate with do-it-yourselfers, contractors, property managers, and community associations. Affordable Fencing Company specializes in vinyl fencing--a great investment as it is both economical and versatile. Our durable vinyl products are virtually maintenance-free, require no painting, and will not rot, peel, flake, rust, blister or corrode. We carry a wide range of attractive styles and colors to match any design scheme. In addition to vinyl, we also install fences, gates and walls made of the highest quality aluminum, wood, glass and cinder block. Our highly trained craftsmen provide professional, fast installations along with exceptional workmanship and knowledgeable service. We stand behind our products from 50 years to a lifetime, and will match any major manufacturer's published warranty on vinyl fencing. Affordable Fencing Company is fully licensed, bonded and insured. 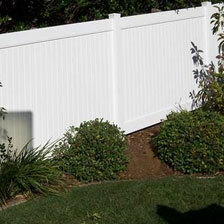 Call us today for more information and a free estimate on fencing services in Costa Mesa. With nearly 30 years of experience and thousands of satisfied customers, Affordable Fencing Company is Costa Mesa's best value for high quality vinyl fencing. We build and install economical, custom-made vinyl fencing that can be cut to any size, height, or width for residential, commercial, and industrial use. 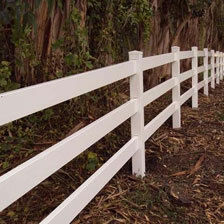 Choose from private, semi-private, and picket fencing, all available in a smooth or wood-grain finish. We also offer a variety of attractive color, cap, and accent options from our fully stocked inventory to enhance the look of your home or business, including solar-powered lighting. For homes, farms, and ranches, Affordable Fencing also installs vinyl ranch rail fencing for containing livestock and designating territory, available in a wide range of size, color, and post options. Our durable fences are made with maintenance-free vinyl that requires no painting and resists rotting, flaking, peeling and blistering. We are committed to providing excellent workmanship, fast installations, and lasting results. All of our vinyl products are backed by a 50-year transferable warranty that can also be extended to contractors and do-it-yourselfers. 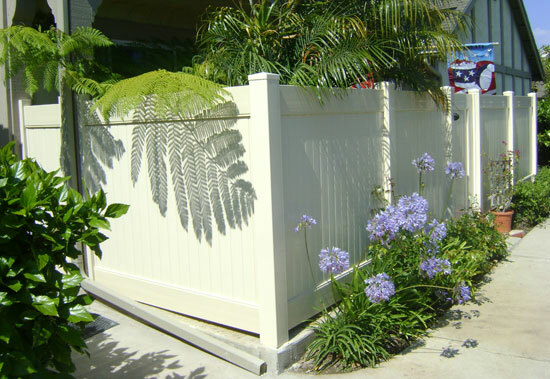 Call us today to learn more about vinyl fencing for Costa Mesa. 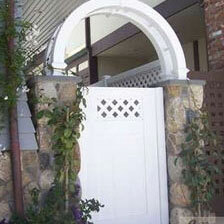 Since 1984, Affordable Fencing Company has been Costa Mesa's premier choice for high quality vinyl gates and gazebos. We build and install a wide variety of beautiful, affordable gazebos and gates for residential, commercial, and industrial uses. Our inventory includes more than 50 different styles of private, semi-private, picket, and custom vinyl gates, with many beautiful color, cap, and accent options to choose from. In addition, we offer an extensive selection of locks, deadbolts, latches, levers, handles and other gate hardware. 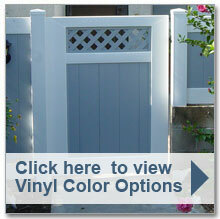 Our fully stocked inventory also includes quality vinyl arbors and gazebos. Our elegant gazebos are available in 7 ft. and 10 ft. sizes, and our custom-made arbors are available in 16 styles. Our durable gates and gazebos are virtually maintenance-free; they require no upkeep or painting and resist rotting, flaking, peeling, and blistering. We are committed to providing excellent workmanship, fast installations, and lasting results. All of our vinyl products are backed by a 50-year transferable warranty that can also be extended to contractors and do-it-yourselfers. 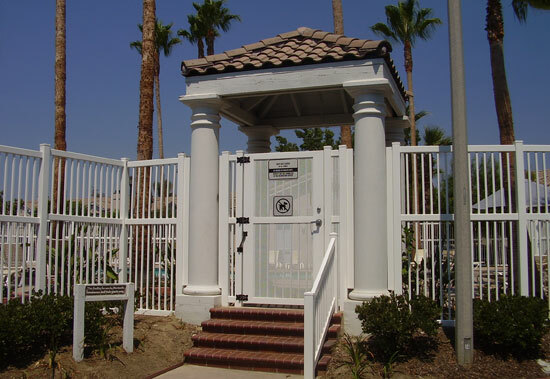 Call us today to learn more about vinyl gates and gazebos for Costa Mesa. With nearly 30 years of experience and thousands of satisfied customers, Affordable Fencing Company is Costa Mesa's best value for new and replacement wood fencing and gates. Our durable, attractive wooden fences are available in dog-eared and cap & trim (with or without tongue and groove detail) styles, and are custom cut to your preferred size, height, and width. 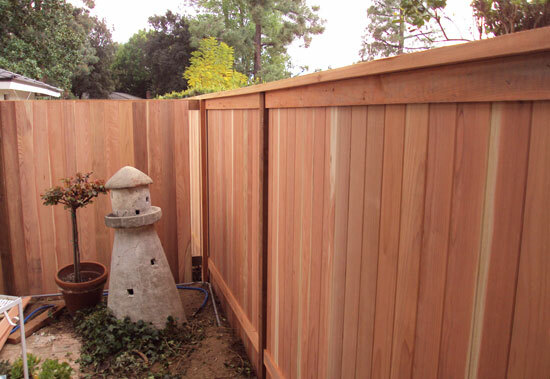 Our fences are typically made of beautiful redwood, and we can also paint or stain the wood to perfectly complement your home or business. To complete your fence, Affordable Fencing also installs stylish and sturdy wooden gates, offered in a broad selection of wood species that can also be custom stained or painted. We offer a number of optional features and hardware including post caps, double entry, locks, latches, levers, handles and more. Our stainless steel hardware is American-made and features powder-coated hinges. You can count on Affordable Fencing for fast, professional installation and exceptional craftsmanship with lasting results. All of our work is backed by a warranty. 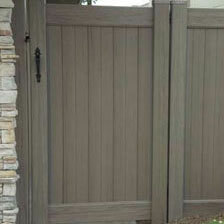 Call us today to learn more about wood fencing and gates for Costa Mesa. With nearly 30 years of experience and thousands of satisfied customers, Affordable Fencing Company is Costa Mesa's leading provider of high quality, affordable vinyl patio covers to enhance your residential or commercial outdoor space. Our attractive, durable patio covers provide increased comfort and long-lasting sun and weather protection, as well as reduced air conditioning usage. Whatever your patio coverage needs, we have the right solution to create your ideal balance of sun and shade. We offer solid top, louvered top, and 50-50 vinyl patio covers custom cut to any size, height, or width, available in a wide selection of color options and styles. Our fully stocked inventory also includes optional features such as lighting, ceiling fans, corbel ends, and more. We use powder coated aluminum frames for unmatched durability, and our maintenance-free vinyl requires no upkeep or painting and resists rotting, flaking, peeling, and blistering. You can count on Affordable Fencing for fast, professional installation and exceptional craftsmanship with lasting results. All of our vinyl products are backed by a 50-year transferable warranty that can also be extended to contractors and do-it-yourselfers. 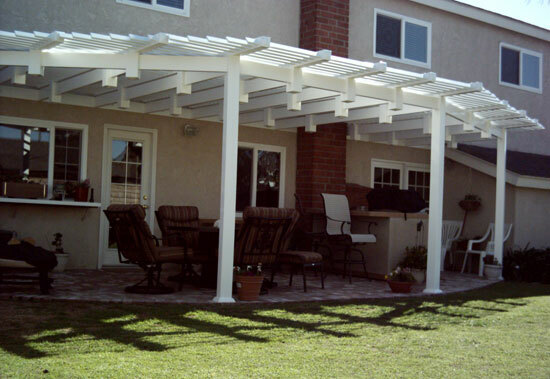 Call us today to learn more about patio covers for Costa Mesa. 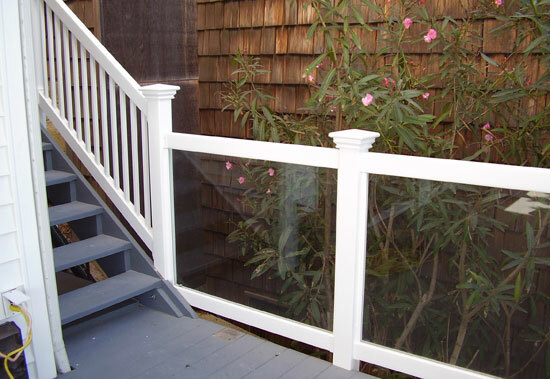 Since 1984, Affordable Fencing Company has been providing Costa Mesa with high quality glass enclosures at affordable prices. We custom design postless glass fencing for a clear, unobstructed view, and vinyl framed glass fencing that comes in a variety of stylish rail colors and finishes. 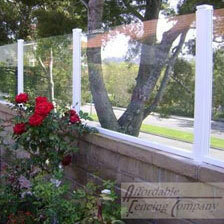 Our tempered safety glass is exceptionally durable and offers protection from strong winds and fire. We also offer custom glass gates to perfectly complement your glass fence, available in a wide selection of designs, colors, and finishes, with an option to etch the design of your choice into the glass panels. Choose from our fully stocked inventory of locks, deadbolts, latches, levers, handles and more. Our stainless steel gate hardware is American-made and features powder-coated hinges. We are dedicated to providing our valued customers with quality materials, fast installations, and knowledgeable service. Our outstanding craftsmanship is backed by a warranty. Call us today to learn more about glass fencing and gates for Costa Mesa. Since 1984 Affordable Fencing Company has been providing Costa Mesa with durable aluminum fencing and gates at cost-effective prices. We offer a variety of aluminum solutions to stylishly secure your outdoor space, including flat top, spear top, and high security fencing. Choose from five colors (black, white, bronze, green and tan) and three grades of aluminum (residential, commercial and industrial). Suitable for both new and replacement fences, we finish our aluminum fences with epoxy powder-coated paint for unmatched durability, ensuring that your coating will never peel, crack, chip or blister. 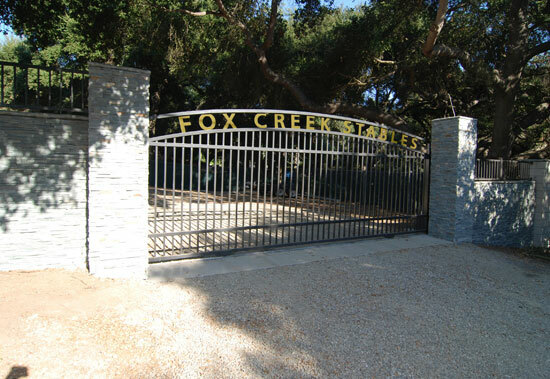 We also install quality aluminum gates in matching styles and grades with additional available features, such as motorized access control, security latches, double-entry, and more. 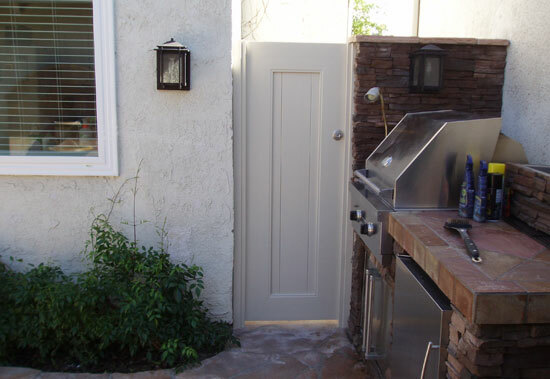 We use stainless steel gate hardware that features powder-coated hinges and is made in the USA. Our aluminum products are approved by most homeowner associations and come with a lifetime warranty on aluminum and paint that guarantees lasting results. Our experienced workers provide outstanding craftsmanship and fast, professional installation. 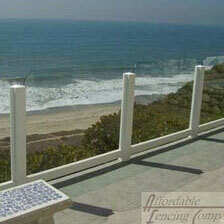 Call us today to learn more about glass fencing for Costa Mesa. Affordable Fencing Company offers Costa Mesa's best value in pool fencing and gates for commercial and residential properties. Our aluminum, aluminum-reinforced vinyl, and glass pool fences provide unmatched safety and security, and are available in a wide selection of materials, textures, and colors. We can also match any custom color. Our affordable, high quality pool fences are professionally installed by experienced workers. All of our pool fences come with extensive warranties. 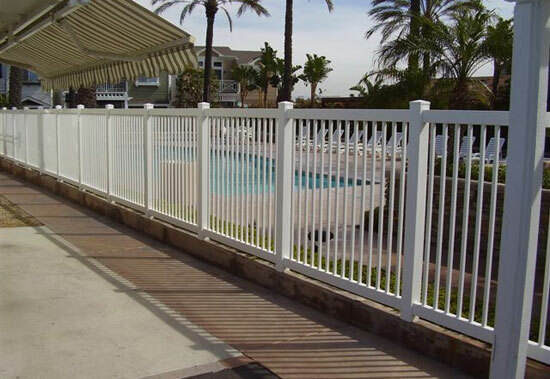 Call us today to learn more about pool fencing and gates for Costa Mesa. Affordable Fencing Company is Costa Mesa's best value for community and homeowner association (HOA) fencing services. 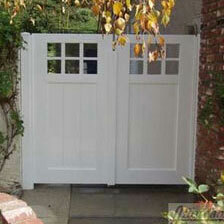 We provide affordable, high quality fencing and gates to meet all the requirements of your property. We install custom interior and perimeter fencing, which can be made from your choice of vinyl, aluminum, glass, wood, or cinder block, as well as entry and security gates. Gates are available in vinyl, aluminum, glass, and wood, and can come with any of a variety of features and hardware, such as double entries, motorized openers, and more. Our stainless steel hardware is American-made and features powder-coated hinges. We also provide stylish custom-made vinyl, glass, aluminum and wood fencing to safely enclose your pool or recreational area, offered in many elegant designs and colors. With 30 years of experience working with HOAs and property managers, you can count on Affordable Fencing for quality workmanship and fast, professional installation in full compliance with pool barrier codes and building regulations. 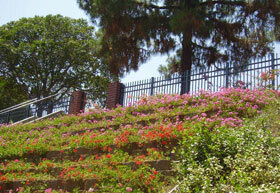 Call us today to learn more about community fencing services for Costa Mesa. With 30 years of experience and thousands of satisfied customers, Affordable Fencing Company is Costa Mesa's premier contractor for commercial- and industrial-grade fencing. We provide durable, custom-made commercial fences to protect and secure your property, all at cost-competitive rates. We specialize in fabricating and installing high quality, long-lasting vinyl, aluminum, wood, and glass fencing and gates, as well as cinder, slumpstone, and split face block walls. Choose from a wide variety of styles, colors, and grades to complement your property from our fully stocked inventory.We are dedicated to providing our valued customers with quality materials, fast installations, and knowledgeable service. Our outstanding craftsmanship is backed by a 50-year warranty on vinyl products and a lifetime warranty on aluminum materials and paint. 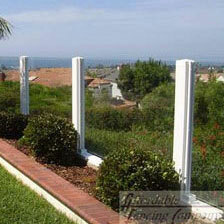 Call us today to learn more about commercial fencing for Costa Mesa.